Serta is America’s top selling mattress brand, made famous in part for their talking sheep commercials you’ve probably seen. Serta offers popular well-known brands including Perfect Sleeper, iComfort, Bellagio and Sertapedic. Serta is part of the larger Serta Simmons Bedding Company, the second largest mattress manufacturer in the world. And unlike many newer mattress brands, they actually design and manufacturer their own mattresses. Serta is best known for Perfect Sleeper which has a long reputation as a comfortable and dependable innerspring mattress. Sertapedics are their lower priced innerspring beds. 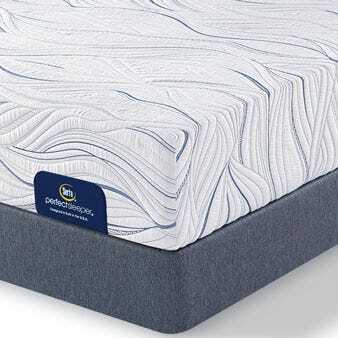 Serta recently launched their iComfort memory foam mattresses which became an overnight success. Those 3 brands have all since expanded and the foam vs innerspring distinction between them has blurred. 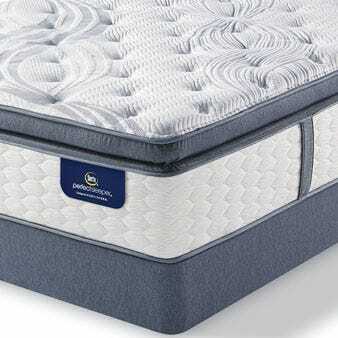 Serta iComfort - is the flagship line that has 7 gel memory foam mattresses. Serta iComfort mattresses have a foam core instead of innersprings and are topped with various layers of foams and gel memory foams. The key feature is TempActive Max Gel Memory Foam which is their proprietary material that captures and dissipates heat. The mattresses are available in firm to medium comforts. These are top mattresses that excel in pressure relief and motion isolation. 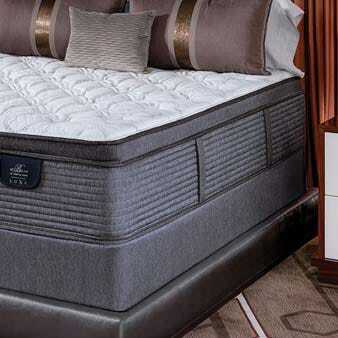 iComfort Hybrid - uses a Hybrid Coil system as the support underneath varying layers of foams and gel memory foams. 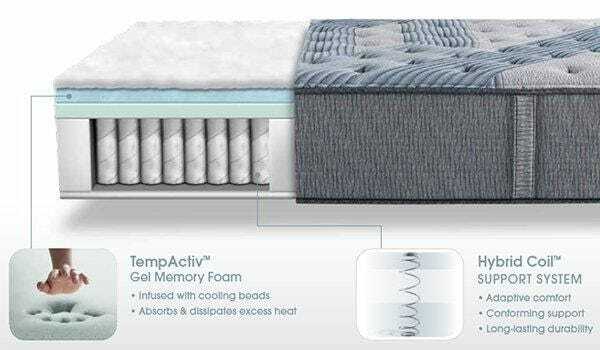 And they also have TempActive Gel Memory Foam similar to regular iComfort models. Hybrid construction offers a more springy support feeling like a traditional mattress. There’re 11 models offering a broad range of comforts from firm to soft mattresses. 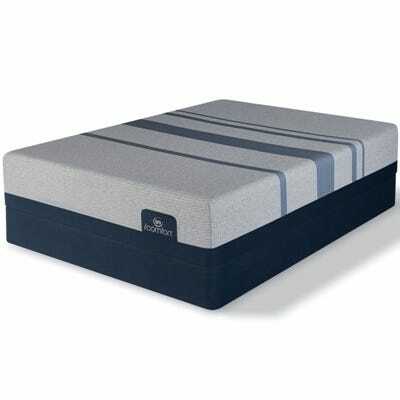 Serta Perfect Sleeper mattress - is their mainstay and comes in 3 levels of increasing features. The innerspring core is made of 520 continuous, or 739 or 886 individually pocketed coils. Mattresses have differing types and amounts of foams, including Cool Twist Gel Foam and Cool Action Gel Memory Foam. 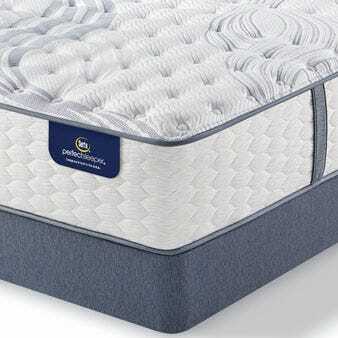 These are premium foams to help control your sleep temperature and make the mattresses more comfortable. The spring/foam combinations are tuned to provide great support, reduce your tossing and turning, and lessen sleeping partner disturbances so you get comfortable sleep. 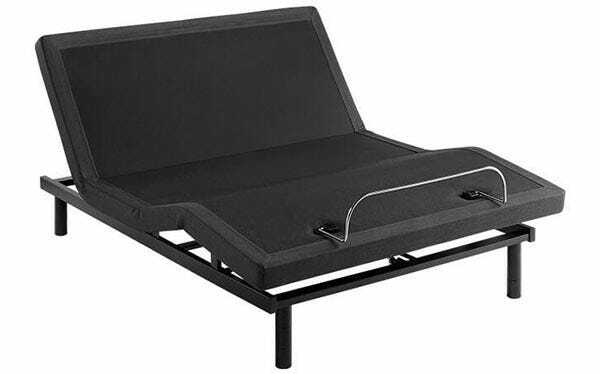 Serta Perfect Sleeper - Foam swaps the innersprings with a foam core. The mattresses are then layered with combinations of Cool Action Gel Memory Foam and Ever Cool Memory Foam. These materials help keep the sleep surface cool and comfortable. Perfect Sleeper Foam beds also have Ultimate Edge foam encasement which strengthens the edge of the beds maximizing your sleeping surface. Serta Hotel – innerspring mattresses offer the same quality and comfort found in leading hotel rooms. Serta is a big supplier to the hotel industry. Some of their mattresses are double sided so you can flip the mattress over and sleep on the other side. 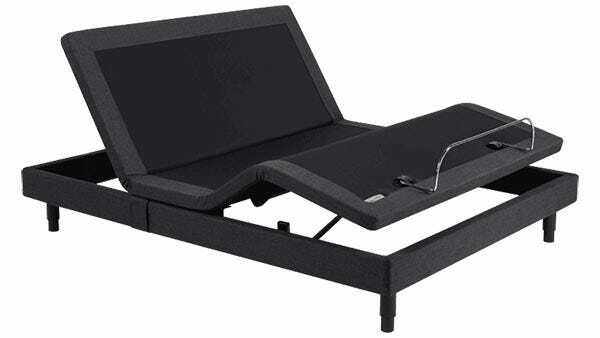 Serta Hotel beds are available at various prices and feature levels. Bellagio at Home and Bellagio Luxe Hybrid - are 2 types of beds furnished in the Bellagio hotel in Las Vegas. Both are innersprings; but the Luxe Hybrid uses their Hybrid Coil and added TempActive Gel Memory Foam for cooling and comfort. The Hybrid represents the premium collection. The Bellagio at Home offers Cool Action and Cool Twist Gel Memory Foams. Both mattress lines can be used on adjustable bases. Sertapedic - is the Serta value collection of innerspring or all-foam mattresses. Designed to be lower priced and affordable, the innerspring models come in 3 different coil offerings. The lower and mid-priced models have a continuous coil design. The upper level models come with the 711 individually pocketed coils. Sertapedic all-foam models have a poly foam core. Then they add Cool Action Gel Memory Foam which is the same quality foam used in their more expensive models. Available in Twin, Twin XL, Full, Queen, Cal-King and King sizes. Optional regular or low profile box springs. There are millions of gel beads in the TempActive foam material which act to trap and then help dissipate body heat. This feature helps to keep the sleeping environment cooler so you sleep better. Serta's most advanced coil system uses a 3 stage coil that provides a responsive initial impression, an adaptive midrange, and a sturdy bottom for added durability. This coil system is individually wrapped for maximum body contouring and adaptability. 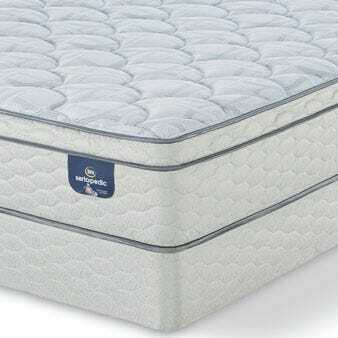 Serta mattresses are available in select stores and online retailers, and also directly from Serta.com. They are heavy mattresses usually delivered by an in-home delivery team. 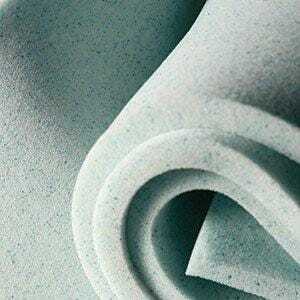 Delivery is typically free, and for more expensive models, so is removal of your old mattress. Serta is one of America’s oldest, largest and most trusted mattress brands. Serta launched its iconic Perfect Sleeper brand in 1931. Serta today is the largest mattress brand in the United States. 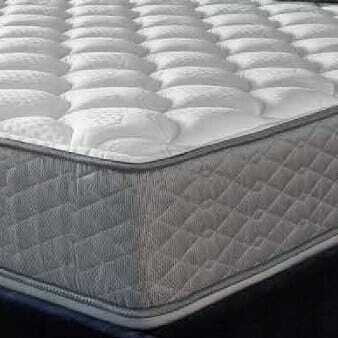 It is a part of the Serta Simmons Bedding company, which operates 36 American factories. They also have a broad international presence. There are hundreds of mattress brands available in stores and online. But most of them are just marketing and reselling beds produced by others. Serta actually is a manufacturer, designing and producing its own mattresses. 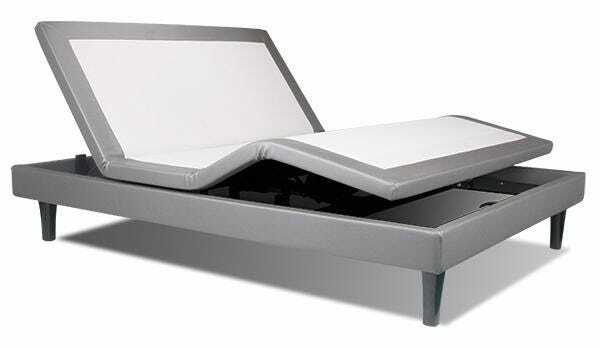 They leverage their lengthy experience and large size to drive innovation and bring high quality beds to market. 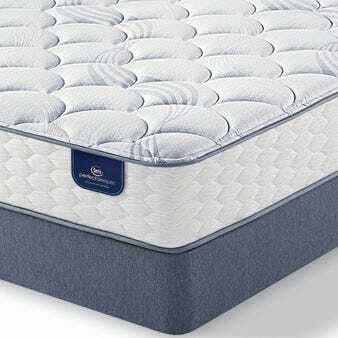 Serta has sold tens of millions of mattresses while maintaining a high quality track record and level of sales success. And they have many loyal repeat customers. On the internet there are review sites that gather and present what they purport to be ratings. However, they have a limited numbers of reviews and cannot objectively reflect the experience of the millions of satisfied owners. Fake news anyone? Serta is a leading mattress company that you can trust for the most part. They have a huge assortment of styles, features and prices. Therefore, you need to zero in on what you’re looking for to find a specific mattress for your needs. They offer beds for everybody’s needs, from back sleepers to side sleepers, from foam to innerspring, and low priced to luxury. 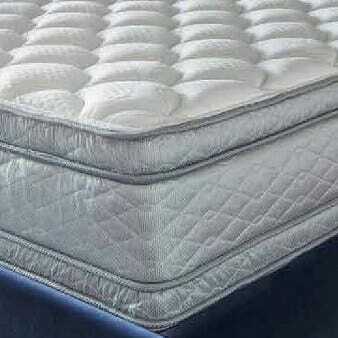 For example, if you’re looking at high end memory foam, you’ll be comparing iComfort or Hybrids vs similar products. In our evaluations, the iComfort and Hydrid models generally test really well. At the lower priced end, Sertapedic provides a low cost, limited feature mattress that has a shorter comfortable life span. In the mid-range, Serta Perfect Sleeper provides solid values in the $600 to $1,200 range. 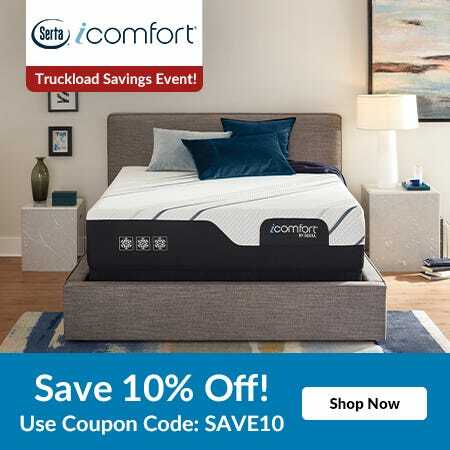 They have such a wide assortment that you’ll need to narrow the selection down to those that fit your budget, comfort, and preferred features to find the best bed for yourself. Perfect Sleeper models carry different names at different stores so it’s hard to compare prices. The Serta Hotel lines have nice choices if you want to duplicate the sleep you had in a hotel. And they also make flip-able double sided mattresses if you like that. A jack of all trades in the mattress industry, Joe is a merchandiser who’s seen the changes in the products and trends for many years. Active in Brazilian Jui Jitsu, along with related injuries, he enjoys resting at home with family, too.